The leading wet AMD treatment used in the NHS, Lucentis, is under pressure from a cheaper version called Avastin. Both compounds are from the family of AntiVEGF drugs (anti-vascular endothelial growth factor). 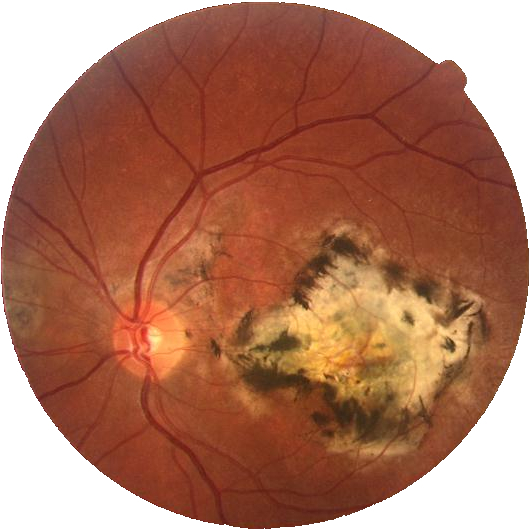 In wet AMD, the degeneration causes the retina to make tiny new blood vessels in response to damage. These blood vessels are very fragile and break and bleed into the retina causing scarring and eventually vision loss. AntiVEGF drugs stop and even shrink the growth of these new blood vessels preventing the damaging bleeding. Until now Lucentis has been the only approved drug for use in the eye and costs over £700 per injection (used in multiples of 3 injections normally). Avastin is in the same family of drugs and currently used to treat heart conditions. Costing only £60 per injection, many specialists in other countries have been using it ‘off label’ in the eye to great effect. Avastin is now being used to treat 50% of AMD cases in the US and there is increasing pressure on the NHS to approve the use of this drug enabling far more access to the sight saving treatment. At Cameron Optometry, we’re experts in all forms of macular disease and have the latest OCT technology which is used by specialists to diagnose and monitor the effects of treatment on wet AMD. If you are concerned or have a family history of the condition, come and see us for some expert advice.